I wanted to love this one, you all. I wanted to at least like it. And in a way, I do, but not nearly as much as I'd hoped. This three-star-rating is definitely on the low end of three stars, the negative end. I'm actually debating on whether or not I should drop it to two stars. Probably not though. Anyway. Zara is chosen, out of thousands of young women, to be Prince's betrothed. Any other young woman would be ecstatic, but Zara isn't. Her father is taken from her, because he has the deadly Virus, and Zara has never felt more alone. Taken to Karm, she has no one to rely on, except her maid, and the first guard. Soon Zara realizes that things are not as they seem in Karm. The king is, well, evil and sadistic, and the prince does not seem to know about his father's crazed plans. There are groups fighting to free Karm of the evil King Hart, and take down the barrier that separates Karm from the rest of the world. As Zara learns the truth about Karm, Hart, and her trusted first guard Devlan, she finds that she is more valuable than she ever thought. The story is... interesting. Ish. You all know how much I love fantasy. This novel is a fantasy novel. It's set in the future, way ahead of modern times, but the kingdom is structured after the Round Table (medieval times). So, there are knights and swords and towers and jousting and whatnot. I love this type of fantasy - the medieval fantasy. 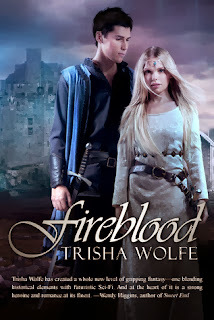 Trisha Wolfe puts an intriguing spin on the fantasy aspect and world-building, by making it a recreated fantasy world, that knows of the "modern day" past, and has technology. So, like most generic fantasy novels, there is an evil king who is basically a tyrant, and there is a rebel group that wants to overthrow him. You guess the rest. The romance is very obvious, and in my opinion, at the beginning, rushed. It's so clear that Zara and this young man instantly have feelings for each other - probably lust at first sight. To me, it was obvious. Their relationship progresses throughout the story, but it bothered me how quickly one character decided that the other was worth the world and more (in a romantic sense), before even meeting that character. Wait, that's a dislike. Okay. I'm going to the dislike section now. I already mentioned that I didn't like the romance very much - or I sounded like I didn't. I liked the pair that fell in love, I just didn't really like how it happened. I also didn't like how it happened. IT'S SO CLICHE. I mean, for those of you who have read Throne of Glass (and even Crown of Midnight), or know EXACTLY what I'm talking about. And I'm sorry that these two authors may have had the same idea without knowing it. But Maas's book was written (to my knowledge) way before this one, and it also came out before this one. 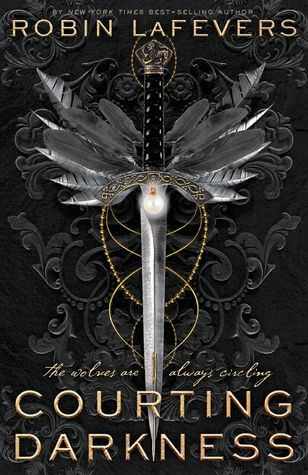 I read Throne of Glass and Crown of Midnight before I read this one. So excuse me while dislike a certain cliche that I keep seeing in fantasy novels. And it's a really obvious cliche. I hate obvious things, and I hate cliche things. Next thing: characters. Zara is such a cliche heroine. I mean, she is SO GENERIC. She doesn't have any personality, in my opinion. She's your typical fighter-attitude, stubborn, irrational, impulsive, STUPID Young Adult literature heroine. She comes from a poor background but STILL acts like she is entitled to everything. I mean, yes, she is chosen to be a princess, and soon, a queen. But for all her telling Devlan and others that she is not selfish and lordly, she totally is. And she's generic, did I mention that? There isn't much that made me think, that is ZARA, from FIREBLOOD. I can EASILY distinguish her from other YA heroines. 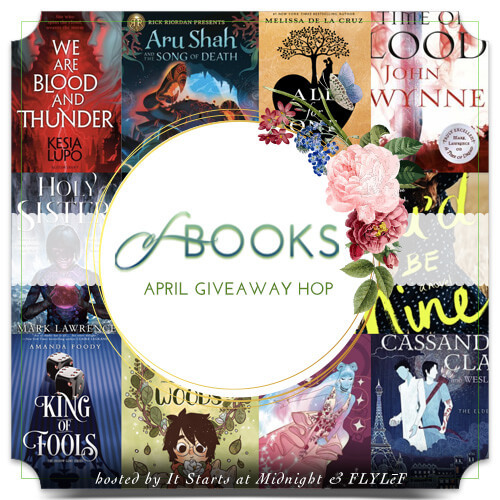 Well, the only way I'd be able to distinguish her is if all of the other YA heroines that are chosen to be a part of this made-up sample had a distinguishing feature. Then I could pick out all of them, and be left with Zara. Cliche, generic Zara. Unintelligent, annoying Zara. Also, how did she go from weak and unskilled in any type of combat or weapon use, to absolutely AMAZING, in about two to three weeks? Is that physically possible? I'd say no. By the end of two to three weeks, she could probably hold a sword correctly, not deflect parries and place blows. So. Not. Believable. Devlan is an okay character, but he also strikes me as generic and lacking in depth. He's your typical fantasy hero - overprotective, stern, calculating. I don't really know much about his background, or care, to be honest. He's generic. He has no depth. He and Zara are perfect for each other. Zero characterization. The plot of this novel isn't all that creative either. Evil king, weak Chosen One girl, supposedly kickbutt male to assist girl, overthrow king, happily ever after (not to say that the ending is happy or not). BORING. This plot is the skeleton of any fantasy novel, but it is ONLY the skeleton. It's so unbelievably predictable. I hate predictability. Throw a twist in there, every now and then. Do something other then EXACTLY what a reader might guess. I mean, come one. Evil king. Prince who might turn out like father. Chosen One girl. Kickbutt hero. War for kingdom. The end. Disappointment. That's what I'm feeling right now. Um... this is difficult. As a Trisha Wolfe fan, I'd say read it no matter what I think! Find out for yourself! But realistically, I wouldn't really recommend this book. Overall, I feel so disappointed and disheartened. I expected much better from Trisha. All around, regardless of genre or plot or romance or whatever, Fireblood isn't really worth the read if you weren't dying to read it to begin with. You're not missing out, believe me. 2.5 stars -> rounded up to 3 stars. I really, really wanted to like this one more than I did. I mean, I even pre-ordered the paperback version of this book in April - APRIL, without reading more than the synopsis. I had such high hopes, and honestly, if I had known my opinion about this book before I pre-ordered it, then I hate to say it, but I wouldn't have pre-ordered it. Definitely a let-down, for this fantasy (and Trisha Wolfe) fan! Sorry to hear it was a let down. 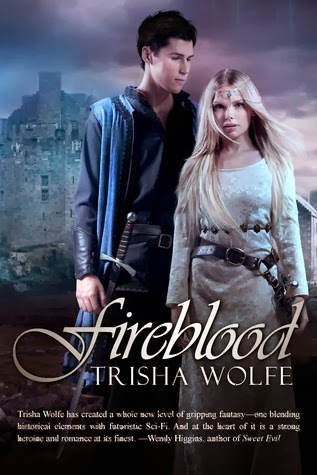 I'm a major Trisha Wolfe fan as well, but I never expected Fireblood to be the same as Trisha's self-pubs, considering several different perspectives get thrown into one book when publishing through a publisher. And lots of things change during the publishing period. I didn't expect this book to be the same quality as her other books, I expected it to be BETTER, with an experienced publishing team behind her. Many things change, for the better, AND for the worse. And LOL I'm still waiting on mine as well. It is unfortunate, but perhaps other people will really like this one. If you read it, I hope you enjoy it, Katiria! Beautiful cover and interesting premise, but just reading your review makes me pretty certain that I wouldn't love this one. Probably not like very much either. Very disappointing.... I am sorry it was a disappointment to you. You're good, Sarah! 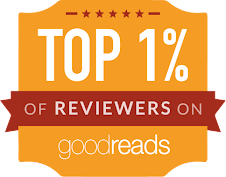 And passing probably is a good idea - especially since there are so many amazing reads coming our way!